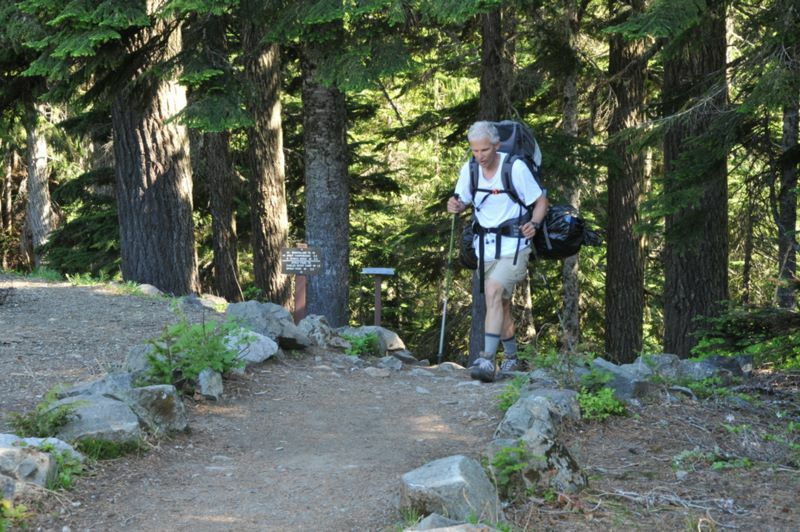 Rick emerging at Mowich Lake camp after 40 miles and 10,200' of hiking in the previous 70 hours and 20 minutes. Not that anyone is keeping statistics or anything like that. Too bad the hike is over though, because we're just now beginning to get in shape.